Rodeco offers a full range of solutions that enable you to meet your specifications or customer requirements. Our standards are so high, we continue to meet and surpass standards for the likes of Bosch, TRW, Ford and more. Rodeco can process down to the second and offers you a wide range of parts washing solutions with unmatched quality and performance. Our sales representatives are ready to work with you to develop the right parts cleaning process for your job needs. Rodeco service team is ready to meet your cleaning and environmental service needs. "Rodeco, they are very easy to work with. Occasionally we have parts we need quickly, which is our problem - not Rodeco’s. They are good at asking second and third level questions like prioritizing production. We cannot recall a time when Rodeco hasn’t delivered on time. And they are a wealth of information and know the process well to make each job a success." Rodeco offers a full range of parts washing solutions to enable you to meet your specifications or your customers’ requirements. Automotive cleanliness specs are high and we have met them for Bosch, TRW, Ford, etc. We take the four elements needed in vibratory finishing – parts, media, compound solutions and equipment – to produce high-quality and finished work. Rodeco knows that every company has different needs. Therefore, Rodeco will work to get the right customized part washers to fit your requirement needs 100%. At MIWI (Midbrook Industrial Washers, Inc.) they customize washers to fit your business needs. 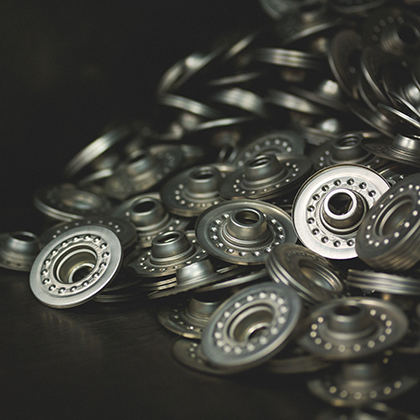 They have built washers customized from actuators to wheel drums. RODECO'S JOB SHOP GETS YOUR JOB DONE RIGHT & ON-TIME. TALK TO RODECO'S TEAM TODAY!Learn more about our lab testing and customized job shop work.